Start a minecraft server with computercraft. You will need to have the http API enabled, which is the default. Put down a turtle I recommend a turtle with a crafting square and a pickaxe. I also recommend giving it a label. If you’re not trying the turtle replication challenge, either disable fuel or get a fair bit of starting fuel. Write down the computer’s id. 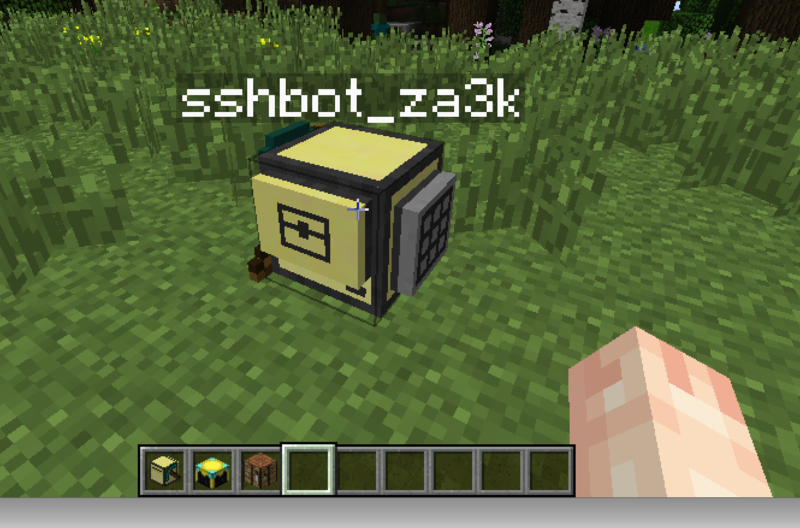 Put down a chunk loader, if you’re in a modpack that has them, or DON’T log out. 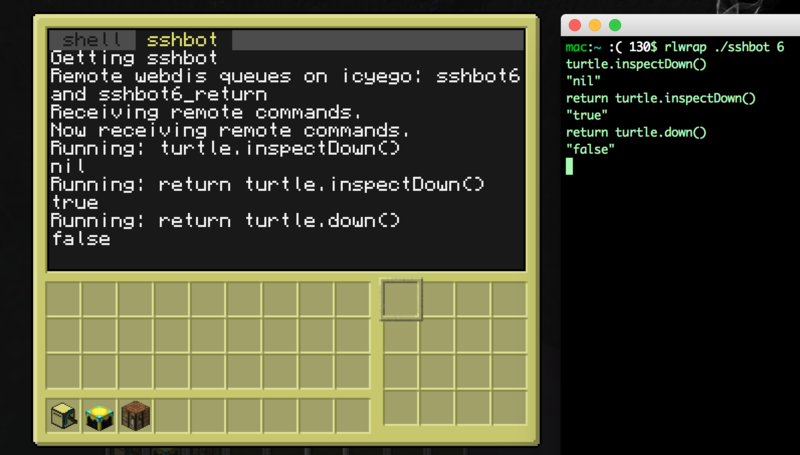 Computers and turtles can’t operate unless the chunks are loaded. If you’re putting down a chunkloader, I surrounded them with bedrock for foolproofing. After you have the script saved as ‘startup’, run it or reboot the computer, and it should start listening for instructions. return_queue = queue .. "_return"
echo "Usage: rlwrap ./sshbot &lt;COMPUTER_ID&gt;"
Run: rlwrap ./sshbot <ID>, where <ID> is the turtle’s ID. 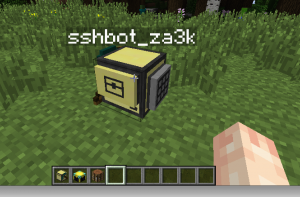 You should be able to send commands to the computer now. Tagged computercraft, hacks, minecraft. Bookmark the permalink.